The Qantas-owned low-cost carrier (LCC) said the seasonal increase on the Adelaide-Bali route reflected strong demand, particularly during the school holiday period. 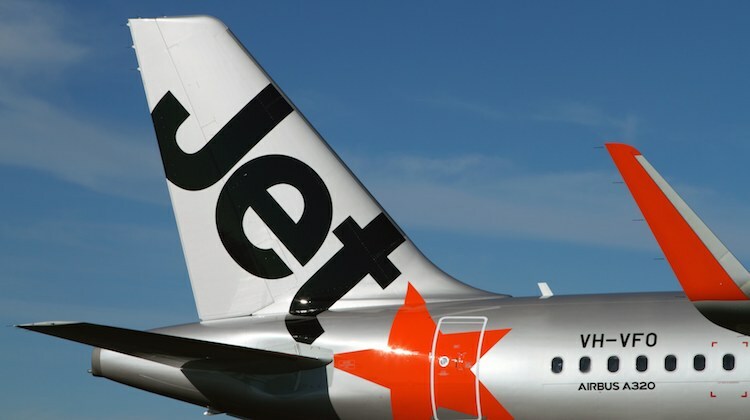 “Our extra flights will add more than 2,000 seats a week on the route and offer South Australian travellers more low fares choice than ever before to take a break in Bali over winter and into spring,” Jetstar executive manager for networks Alan McIntyre said in a statement. The current daily flight departs Adelaide at 1900, arriving in Bali at 2145 local time. Meanwhile, the reciprocal takes off from Bali at 2350 and touches down in Adelaide the following morning. The additional flight is scheduled to depart Adelaide at 0635, arriving in Bali at 1015. The return flight departs at 1120 and lands in Adelaide five hours and five minutes later at 1755 local time. Jetstar flies Airbus A320s configured with 180 seats in a single-class layout between Adelaide and Bail. Currently, it is the only carrier offering nonstop flights between the two cities. However, the Airlineroute website noted Malaysia-based Malindo Air had filed plans to serve Adelaide as part of a Kuala Lumpur-Bali-Adelaide with Boeing 737s four times a week from March 31 2019. However, the flights are yet to be offered for sale on the Malindo Air website. A recent research note from aviation thinktank CAPA – Centre for Aviation said Malindo Air’s Adelaide service was slated to begin in April or May, subject to the airline securing final approvals to operate the route. Also, CAPA said Malindo was likely to begin Kuala Lumpur-Bali-Sydney flights in June 2019. “It recently loaded a 22-Jun-2019 launch date but this is subject to change, and ticket sales have not yet begun,” CAPA said in the research note, dated March 16 2019. Adelaide and Sydney would give Malindo Air destinations in Australia. The airline, which is an affiliate of Indonesia’s Lion Air group, commenced Kuala Lumpur-Bali-Brisbane flights in April 2017 and added Kuala Lumpur-Bali-Melbourne service in June 2018. The Lion Air group’s Batik Air also flies between Perth and Bali. Jetstar’s announcement of a seasonal second daily Adelaide-Bali service follows recent capacity increases on Australia-Bali routes. In December 2018, Virgin Australia announced it would operate nonstop flight between Darwin and Bali three times a week from April 10 to October 20 2019 with Boeing 737-800s. The service is scheduled to operate on Wednesdays, Fridays and Sundays with Boeing 737-800s configured with eight business and 168 economy class seats. The flights will depart Darwin at 2100, arriving in Bali at 2220 local time. The return service is scheduled to leave Bali at 1545 and touch down in Darwin at 2000. Darwin would be Virgin Australia’s fourth nonstop route between Australia and Bali. Currently, the airline serves the popular Indonesian tourist destination from Brisbane, Port Hedland and Sydney. Separately, Qantas said in January it planned to upgauge its Sydney-Bali service from Boeing 737-800s to Airbus A330s from March 31. The change represented an extra 650 seats a week on the route. All these airlines increasing services and putting bigger aircraft on Adelaide service, whilst Qantas can’t even be bothered operating 1 international service!